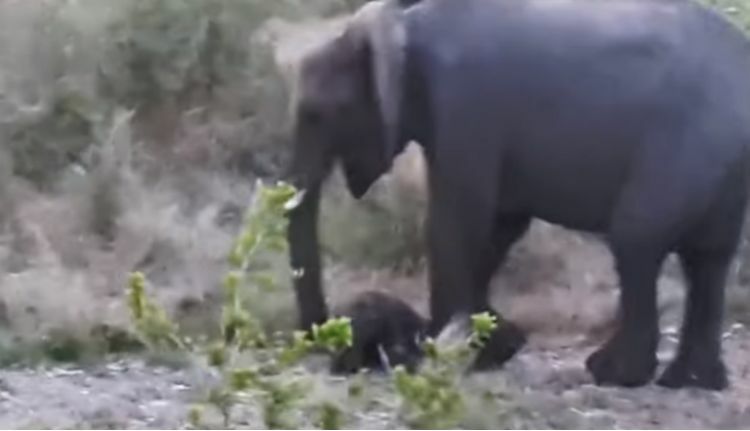 A husband and his wife were on a sunset drive through Kruger National Park in South Africa when they encountered an unlikely event between a mother elephant and her baby. They stopped the drive to capture it all on camera. In the distance by the tall grass, the couple had spotted a distressing situation. 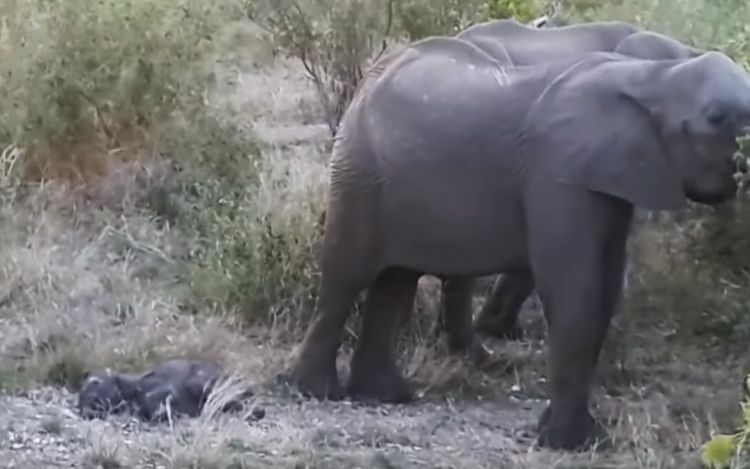 A baby elephant was lying on the ground, motionless. It looked like it was dead. 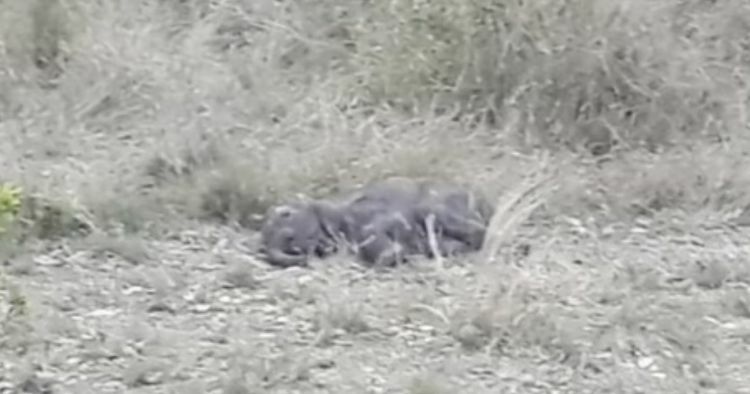 The calf was lying in the middle of the field, several feet away from the mother. 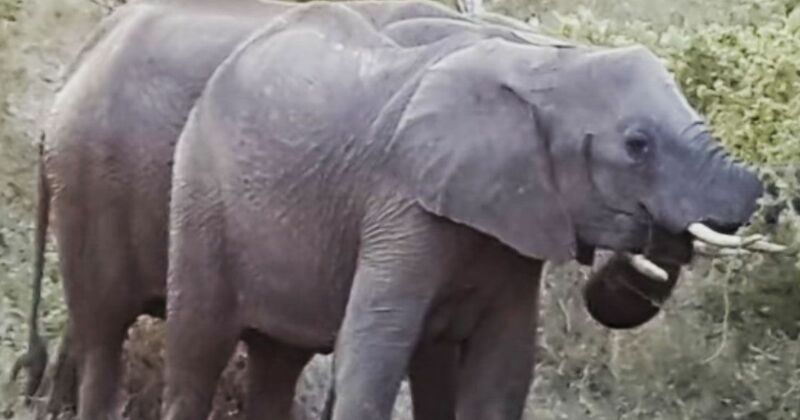 The pair noticed the mother elephant moving away from the baby toward the bushes and thought the worse. Was the mother leaving the baby behind, or was it simply in distress from the situation? Not wanting to intrude, the husband used his thermal camera to see from a distance if the baby's body was still warm or not. 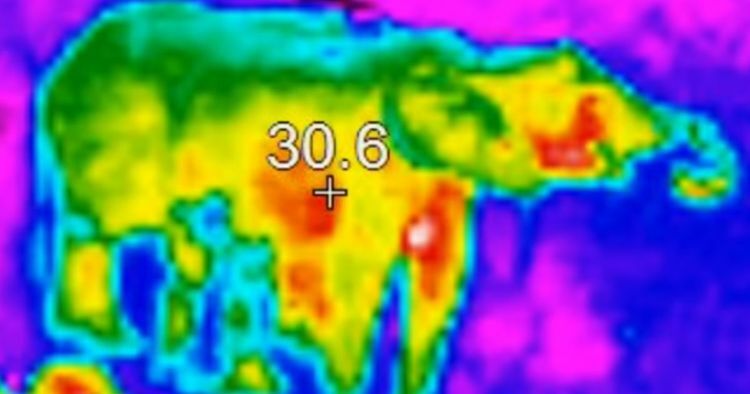 Similar to humans, elephants average 35.9 degrees C in core body temperature, so the 30.6 degree-C rating was a positive sign. As it turned out, not only was the baby alive but it was a newborn. The spot where he was found on the ground was still wet and warm from birth. Soon, the mother moved back toward the baby. Both onlookers were in suspense, waiting to see what would happen next. The mother came by and hovered over the baby. She attempted to get her baby to moved and made noises as if she was in distress. The husband and wife worried that she would accidentally step on the baby. 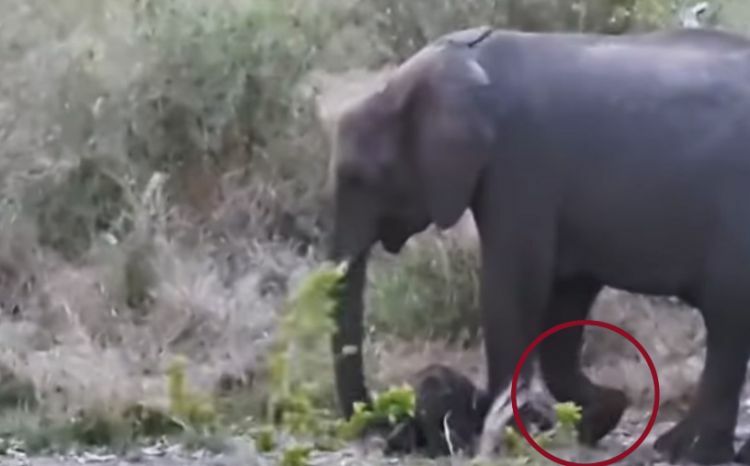 Needless to say, the mother wasn't actually going to step on the baby. Instead, she was going to use a kick. The mom picked up her front right leg and gave the newborn a nudge. It turned out that a few kicks were all that was necessary to give this story its happy ending. 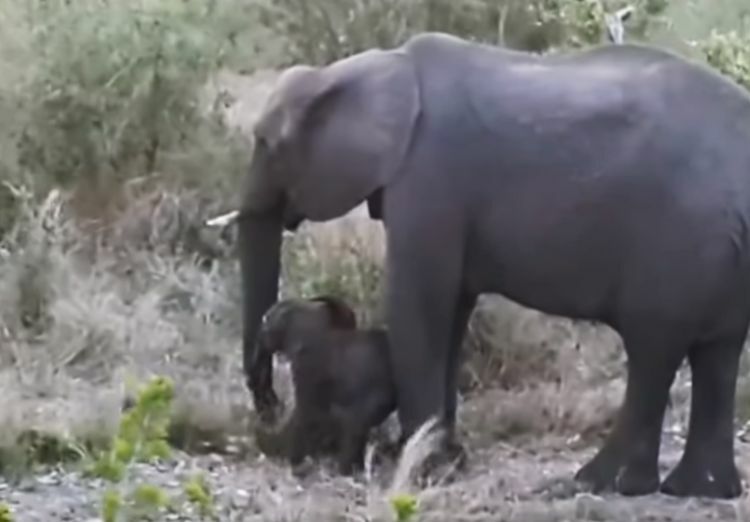 In the elephant world, there's no greater love than that between a mother and calf. The baby is born nearly blind and thus relies on the mother, her smell and trunk to get to know the new world.